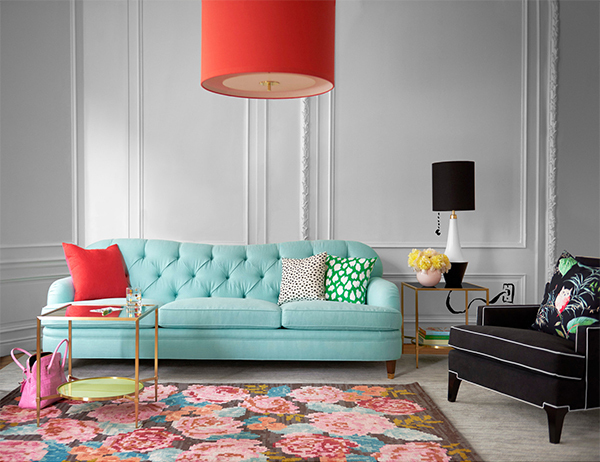 Kate Spade New York has launched a beautiful new collection of home decor and furniture that I think you’ll find both fun and inspirational. It’s full of bright colors, polka dots, gold, and rich fabrics to match. Get ready to plan your Spring decorating refresh as you peruse Kate Spade‘s new line of home decor. 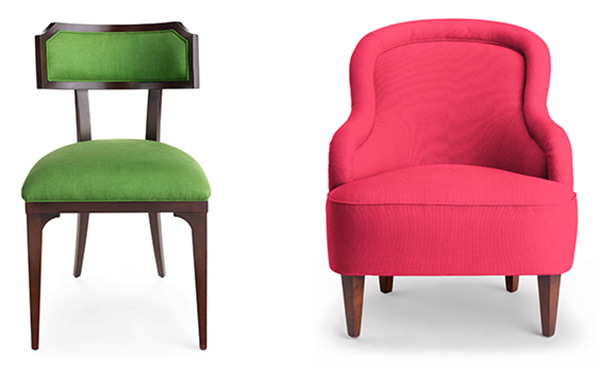 Kate Spade has introduced a beautiful collection of brightly colored chairs with bold and feminine silhouettes. These are just a few of their amazing selections. 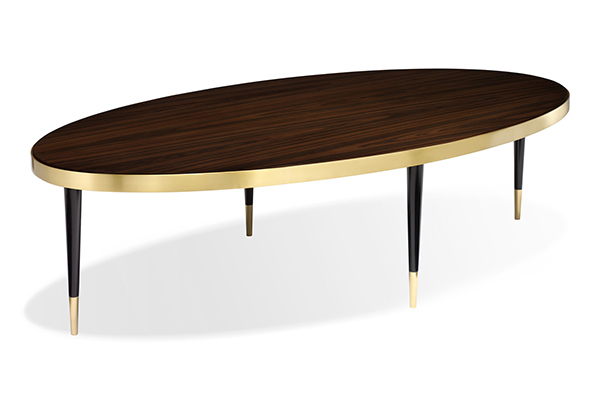 You can see the rest of their furniture collection here. 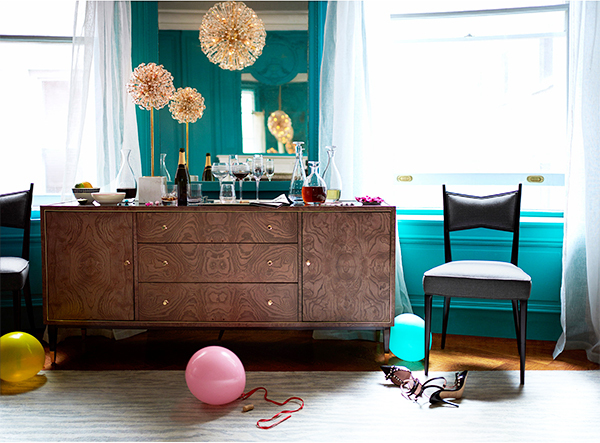 I can definitely say that Kate Spade’s furniture line remains sophisticated while still having a whimsical flair. This is one of the reasons I love Kate Spade’s designs so much, both their fashion accessories and home furnishings appeal to women of all generations. 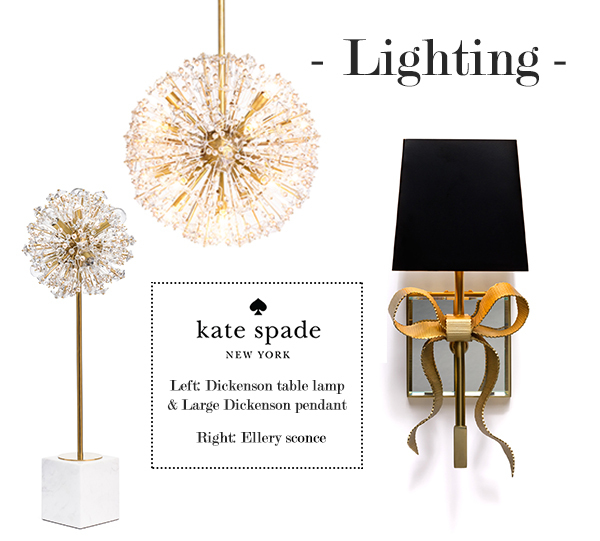 You’ll also find gorgeous, dark wood furniture in this collection, which grounds a lot of the brighter shades featured in Kate Spade’s upbeat, yet sophisticated home decor. 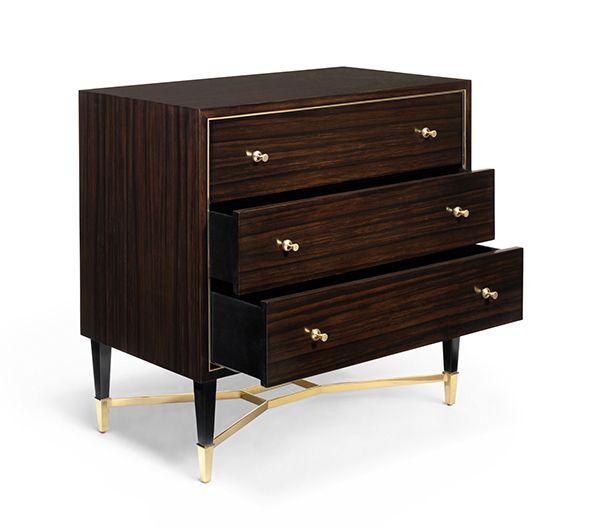 The dressers (shown above and below) are absolutely stunning, not to mention Kate Spade’s stunning dark wood coffee table shown toward the bottom of this post. Kate Spade’s signature bow has popped up throughout this new collection, and I must say that it’s a fun and feminine touch that I haven’t seen before. This classic bow has even popped up in Kate Spade’s new active wear line, for those of you who would love to sport a Kate Spade bow while working out. 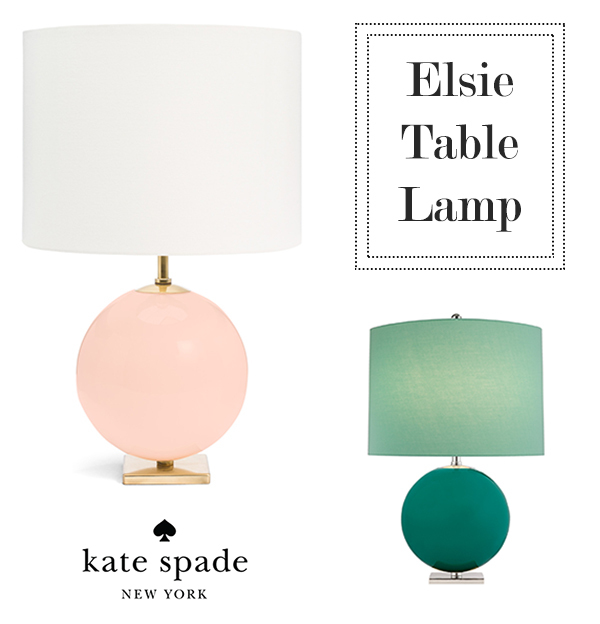 The Elsie Lamp is my absolute favorite piece from Kate Spade’s new home line. It also comes in a glamorous black & white design as well. I could see this table lamp in a chic office or glamorous master bedroom. 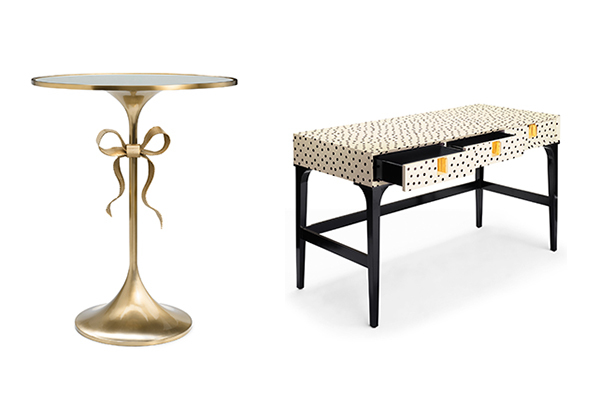 Which is your favorite piece from Kate Spade New York‘s new home furnishing collection?